Out now on vinyl and digital: lnk.to/PLAY024 Seth Troxler's Play It Say It label opens up 2018 with another release from the highly regarded Ataxia, who serve up their third EP for the imprint.The Detroit duo impressed with their previous outings on the label, The Supertouch EP back in July 2017 and The Acid EP in 2016. Since then they have also released on Leftroom and Nervous and continued their eight year residency at prominent Detroit venue TV Lounge. Their fresh take on Motor City techno often comes with flashes of acid and makes cyber punks Ted Krisko and Eric Ricker one of the most interesting pairs in the game. Opening up the essential EP is 'Quicksand', an immediately arresting and busy electro track with real machine soul. The bassline bubbles and boils underneath crisp percussion and emotive keys bring a sense of tenderness. It's a macho cut with robust drums and is sure to win over any crowd. The fresh 'Hot Snakes' is a deep, menacing track with dark bass gurgling beneath the airy hi hats. Frazzled synths are dystopian and brain frying, and together the whole thing takes you into hypnotic territory with an intense sense of urgency that is impossible to ignore.Last of all is the freakiest of the lot. The brilliant 'Texas is the Reason' has circling bass that is warped and intriguing and will own any club, while the drums drive on and trippy keys are skewed and twisted up top. It's a truly intense record for late in the night that is sure to become a big tune. 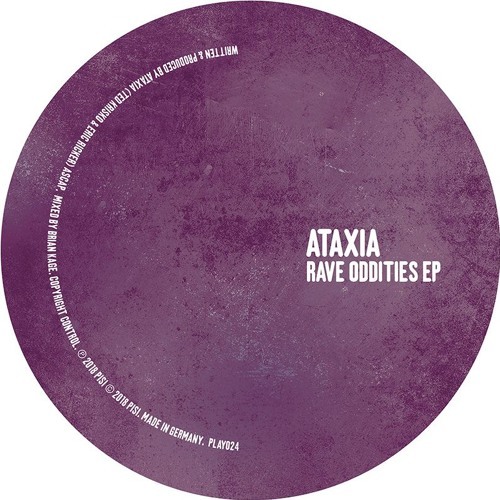 This is an expressive and varied EP full of contemporary and innovative Detroit house and techno sounds and marks another step in the Ataxia story.